This is a pretty innocuous story, but it got me thinking. Unless you're going with a theme purely for kitsch value (foods of the 1950's, white trash, Prohibition, etc. 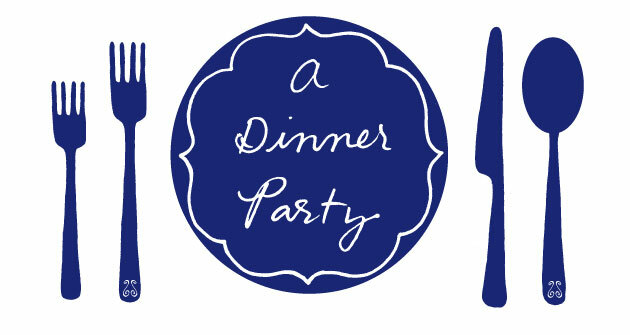 ), I kind of hate the idea of themed dinners. They make me think of grade-school birthday parties where the paper napkins match the paper cups and the cake and the streamers and the balloons. Okay for six-year-olds, but scary for adults. Sandra Lee excluded. If you want to select a soundtrack or tablecloth based on what you're serving, that's fine, but it's not really my thing. I will say that I tend to focus on a more general food-related theme (tacos, New England clam bake) or type of cuisine (Italian, Greek) when I'm planning a menu. On one hand, it feels restrictive and not that creative—I'm jealous of cooks who serve seemingly incongruous dishes that pair so well together it makes you wonder why you've never eaten them side-by-side before. Eventually I will get there. But for now, having a general theme helps me quickly pull together several dishes that complement each other. And that's what I always look for in a meal, whether I'm eating in a restaurant or cooking at home. What are your thoughts on this? Theme or no? Sandra Lee NOT excluded. If you followed her tips for a themed dinner party, your guests would think you're psychotic. And they'd be right.